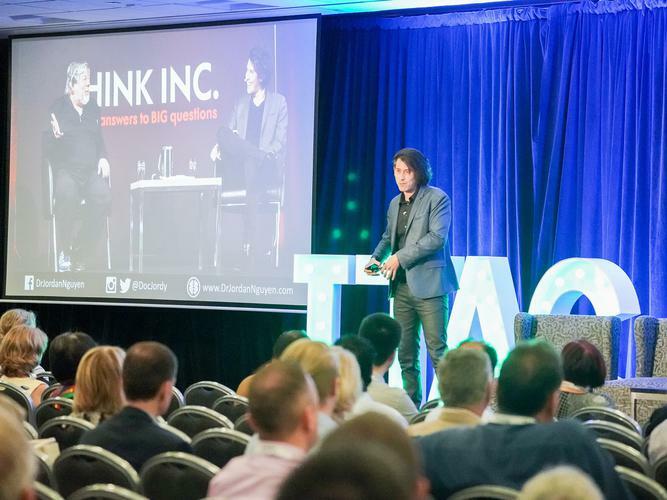 Technology and the aged care workforce are two of the biggest topics within the industry and sector and they are set to be front and centre at one of the most anticipated conference events of the year in November. The 2018 Information and Technology in Aged Care (ITAC) conference, running from 21-22 November in Adelaide, South Australia, is bringing together a number of educated, experienced and highly sought after speakers to discuss, explore and brainstorm about the role of technology in aged care. Recognising the importance to quality care of a skilled workforce, and the role technology can play in supporting workers provide this care, Chair of the ITAC Organising Committee, Rod Young, says both topics will be at the heart of discussion in the event's Workforce the Key to Future Service Delivery session. “It is not possible to consider Social Care 2050 and not contemplate a workforce around 1 million workers,” Mr Young says. “Where will these workers come from? How will we attract these new employees? How will we convince our existing workforce to remain in the sector? How do we make our employees more devoted to our sector and not look elsewhere? “The speakers in this session bring their own unique perspectives on the current state of the workforce and what needs to change to make the social care industry an occupation/career path of choice for a growing number of workers in the future. Kontent Labs Executive Producer Marc Niemes is one of the speakers talking about ‘Back to the future, how voice assistant and chatbots are impacting frontline care’ as part of the conference session. Mr Niemes says despite a workforce issue, simply adding to the workforce “will not change the fundamental supply, demand, quality and cost dilemma”. “We need other ways,” he explains. “It's not about more compliance and accreditation it is about capability. “We know workforce in aged care is a problem but it is only now starting to bite. “A whole community raises a child and a whole community needs to look after its elderly. As part of his time on stage, Mr Niemes says he will be asking the audience a number of important questions about workforce and technology, with a focus on the human problem the sector is facing, not just the economic one. “Yes, we all must provide better care but is that the metric of measurement? Have we actually asked those receiving the care what is better or are we just better at working against the standards so we can ‘get paid’?,” he says. Fellow speaker - Michael Maher, CEO of Aged Care Development Network - says this session will see delegates introduced to the digital options that will assist them in attracting and retaining quality workers - offering a solution that is relevant to all providers regardless of size or type. “The biggest workforce issue for the aged care industry is achieving a sustainable and appropriately skilled workforce,” Mr Maher says. “Then Aged Care IT Roadmap emphasises how interoperability is the key to the future of the sector and how it manages its workforce. “Technological solutions now allow people to carry their personal data between organisations and across borders, including verified data from third parties such as training providers and police check providers. Mr Young adds that given the release of the Pollears report, it would be “surprising if anyone interested in the social care workforce did not have an acute appreciation of the importance of workforce, especially improving the skills of the workforce and the attractiveness of the social care environment as an aspiring environment in which to work”. Mr Niemes and Mr Maher will also be joined by fellow speaker Neven Karac from intergratedliving in the concurrent session at 11am on Thursday 22 November. The full program of speakers and events is available to view online, with early bird registrations still available until 5 October.